Do you like bloopers? You know – the outtakes of a movie or a TV show where you see the actors screw up? 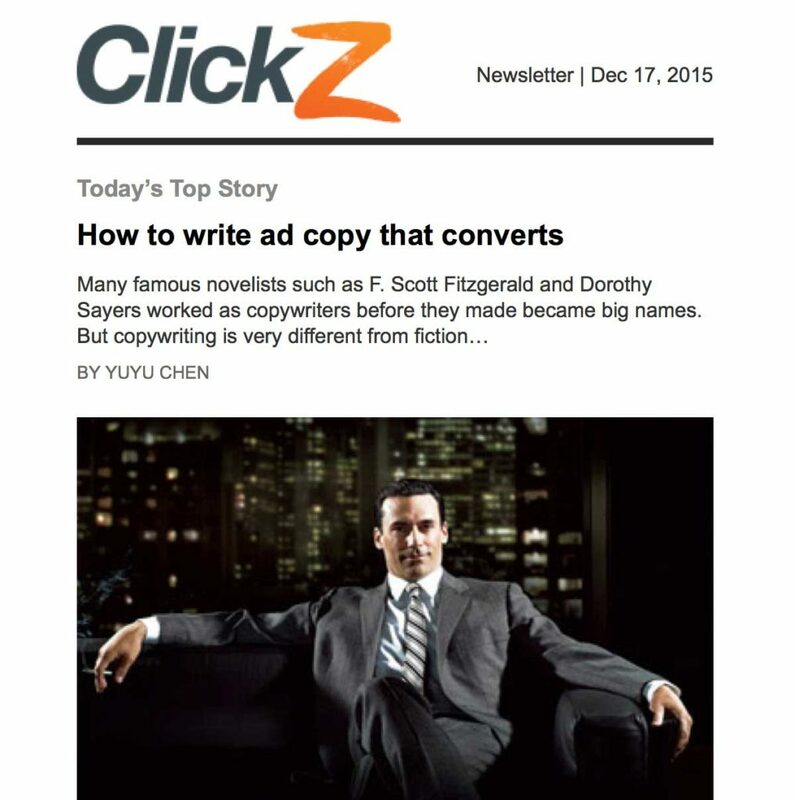 This week’s post is a bit like an email marketing blooper reel. These are some of the most common recurring mistakes I’ve come across in my inbox in the last year. There are also a few examples of strategy mistakes and personal pet peeves mixed into the list. 1. The botched subject line. The subject line is one of the most common places people make mistakes. It’s also, of course, one of the most prominent places to make a mistake. Of course, this is also an example of personalization gone catastrophically wrong. But if LinkedIn can make this mistake, surely the rest of us are capable of it. 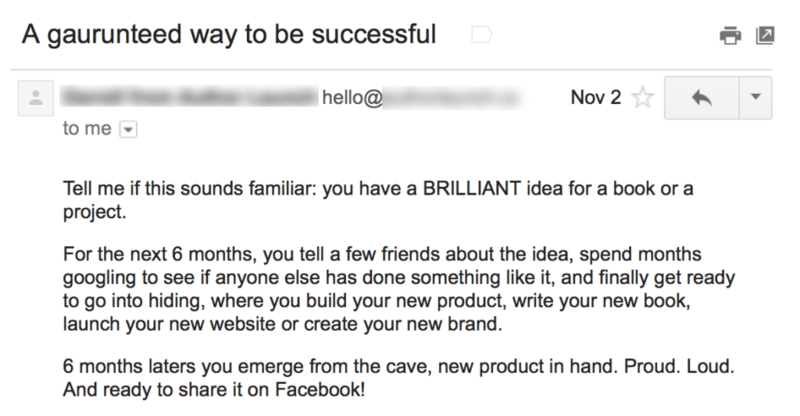 If only the subject line had been “A gaurunteed way to spell success”. 2. 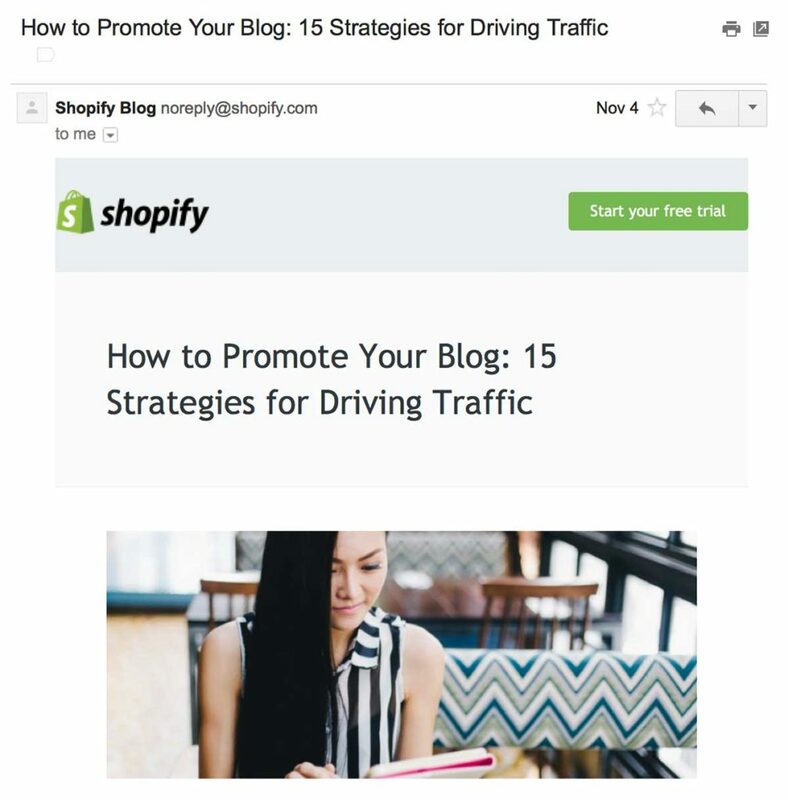 Not knowing if your email marketing efforts are profitable. 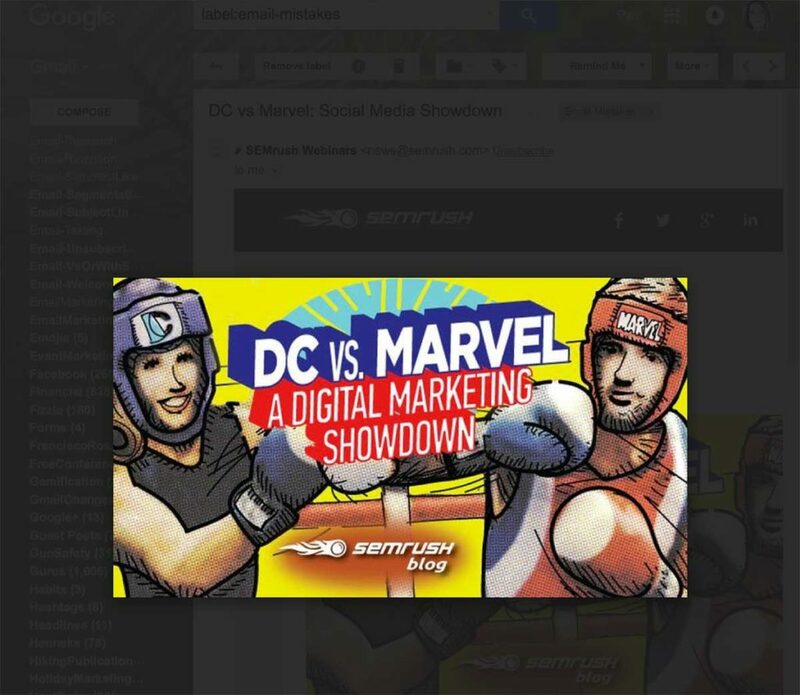 I’m laying down the law here: You gotta know whether your email marketing efforts are paying off. The good news is email happens to be one of the most trackable, testable marketing mediums ever created. If you don’t know whether your email marketing is profitable, it’s time to focus in on this and figure it out. Figure out how much you’re spending on your email marketing. Calculate both the cost of sending the emails, plus the value of your time to create them. If you want, you can also attribute a bit of the cost of your content creation to your emails. Say, 15% of your content creation costs might be carried by email marketing. Figure out how much you’re earning from your email marketing. This should be pretty straightforward if you’ve got your Google Analytics account hooked up to your GetResponse account, and you’ve got Analytics tracking turned on for your email messages. If you haven’t done that already, may I suggest doing it now? Subtract how much you spend from how much you’ve earned. Hopefully, you’ve got a positive number. If so, your email marketing is profitable! Sit back and think a bit. Are you attributing the costs and earnings correctly? Are you sure? Sometimes an order won’t be directly traceable to an email, but the email might have triggered or contributed to a sale. If you’re using what’s called a “last-click attribution model”, any sales that can’t be directly linked to the last click don’t count. Last-click attribution models make calculating ROI much easier. But they don’t tell the whole story. For example, if you see a small but predictable rise in phone orders every time an email goes out, your emails might be contributing to that. Should 10% of the value of those orders be attributed to your emails, or 20%? 3. 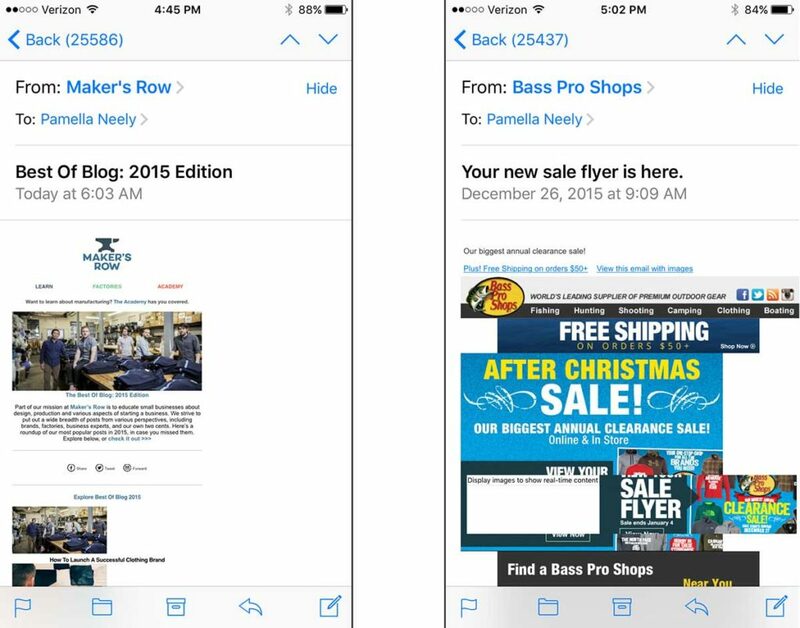 Not optimizing your emails for mobile. Guys! Time to fix this, okay? More than half of email messages are opened on mobile phones. That’s been true for months now. Links that are too close together. Links need to be clickable without having to zoom in. And they need to be clickable enough so that a guy with big fingers can accurately click them. Even if the guy is walking down the street while doing this. With a coffee cup in one hand. 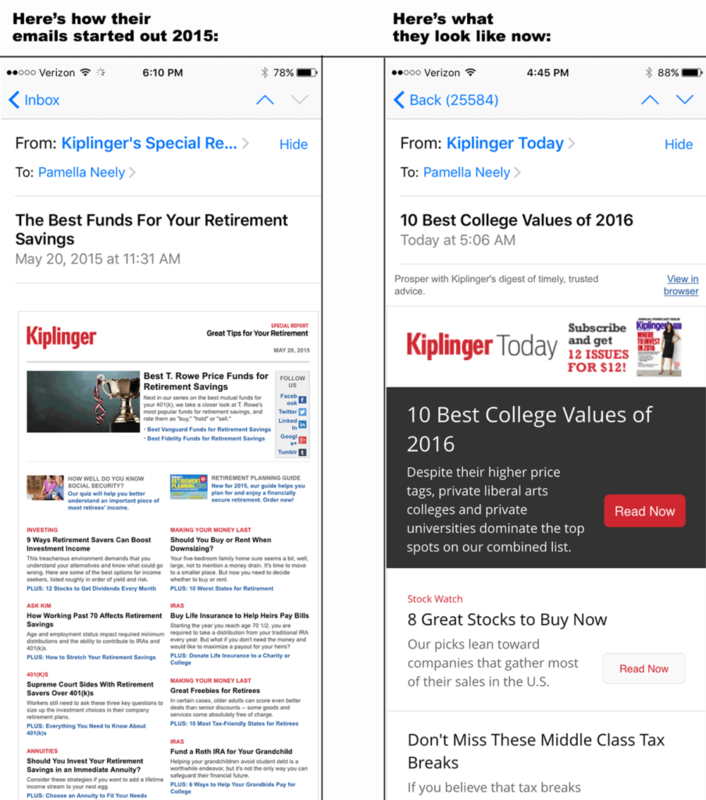 Gotta give a hat-tip to one company who did make their emails more mobile-friendly this year: Kiplinger’s. 4. Not making your main image clickable. Some of the best marketing companies in the world make this mistake. They forget to link the header image (http://blog.getresponse.com/your-header-image-choosing-the-right-stock-photo-for-your-blog.html) of their emails to a landing page. Sure, there’s a text link below, but we’ve been trained to expect the header image to be clickable. This is particularly important with mobile devices. Clicking a text link is harder than just banging your thumb down any-old-where on a huge image. To get to the landing page (which is a webinar sign-up page in this case), you’ll have to close that window, scroll down to find the text link, and then click the text link. That image of the pretty girl? Not clickable. While this is frustrating, there’s good news. This is a two-minute fix. 30 seconds if you’re already in your email account. Just add a link to the image! Always check how your emails will look if someone has their email client set to not show images. 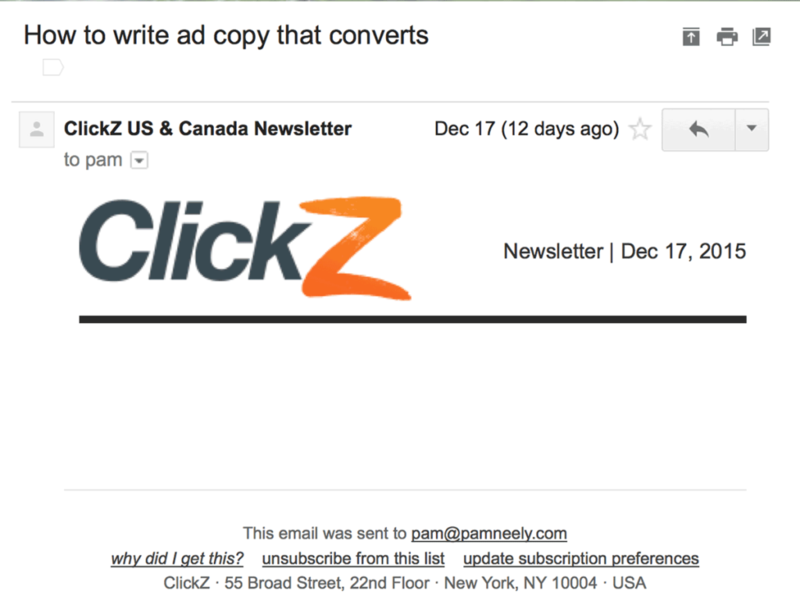 In this email, there’s no way to get to the landing page – it’s a near complete fail. That’s why so many emails have a big engaging header image, a couple lines of short copy, and then a call to action/link to the landing page. That way, if the image doesn’t show, subscribers can still get the gist of the email and click through. 6. 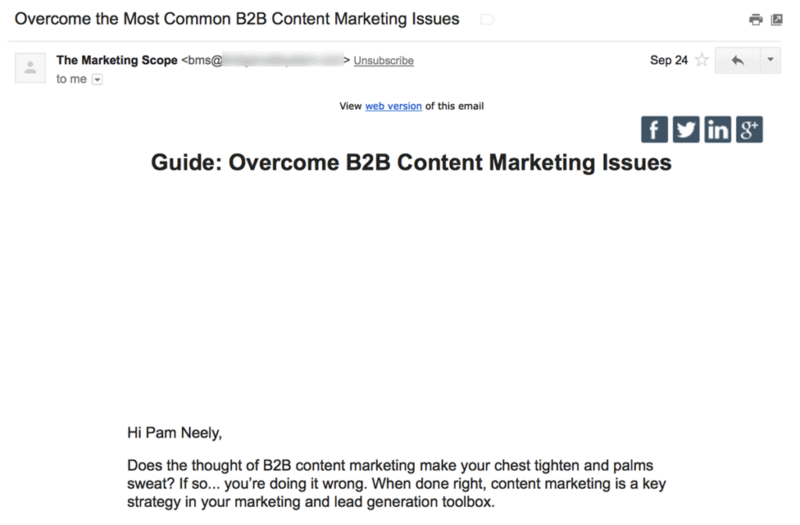 For sales reps and B2B companies: Sending more than two follow up emails from a sales rep after I’ve downloaded something from your site or signed up for a webinar. A couple of sales reps have sent me more than 10 follow-up emails asking, begging, trying to manipulate me into responding to them. Don’t sell that hard. It hurts your brand. I’d hesitate to ever download another ebook from them. 7. 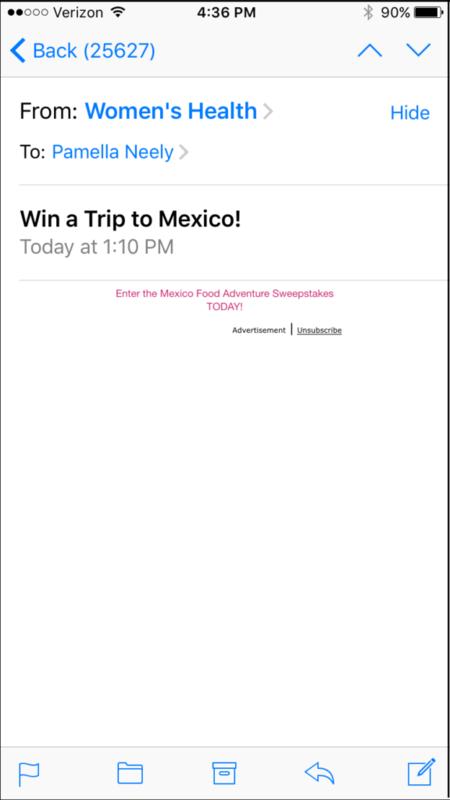 The email’s dynamic content is broken. Dynamic content can be amazingly cool. There are almost endless creative applications for it. But be warned: It sometimes breaks. For whatever reason, some emails don’t look right. 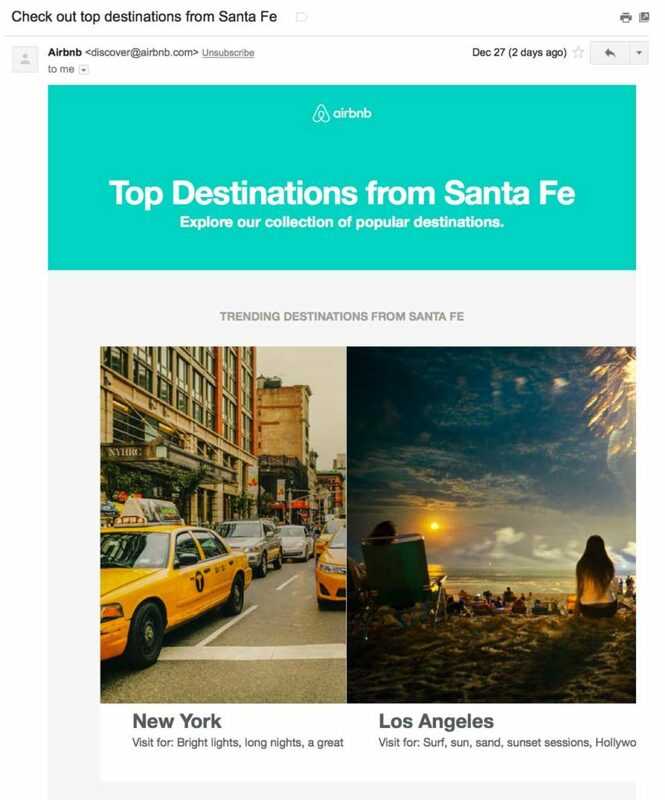 This email from AirBnB was probably supposed to have dynamic content – the subject line promised I’d see listings for Santa Fe. Instead, I got a generic feed of cities. Still, for a “fail” this is a perfectly nice email. AirBnB was smart and had a fallback email in place just in case something went wrong with the feed of personalized listings. And that part did work. One other thing about this email: It’s a good example of not matching your subject line to your email content. The second biggest reason this fails – after the dynamic content – is how the subject line set my expectations. Then the body of the email disappointed those expectations. You can get away with that disconnect for awhile. But trying to con your subscribers is a really bad long-term strategy. 8. Offering your subscribers a service they can’t access. 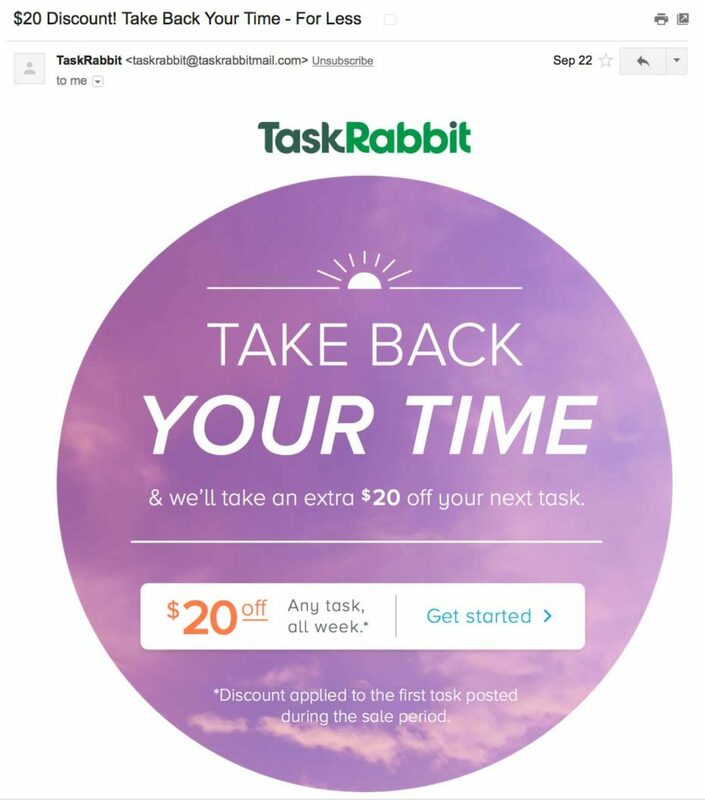 Ever heard of TaskRabbit? It’s a service that lets you hire people for specific tasks, usually in the offline world. Like picking up your laundry, or cleaning your yard. I have a love/hate relationship with TaskRabbit. I would love to use it. But I don’t live in a city where it’s offered. And yet they keep sending me these emails. I registered with the site months ago – if they had hooked up their email data with their online profile data, they would know I can’t redeem this coupon. I’m seeing less of these types of emails recently. 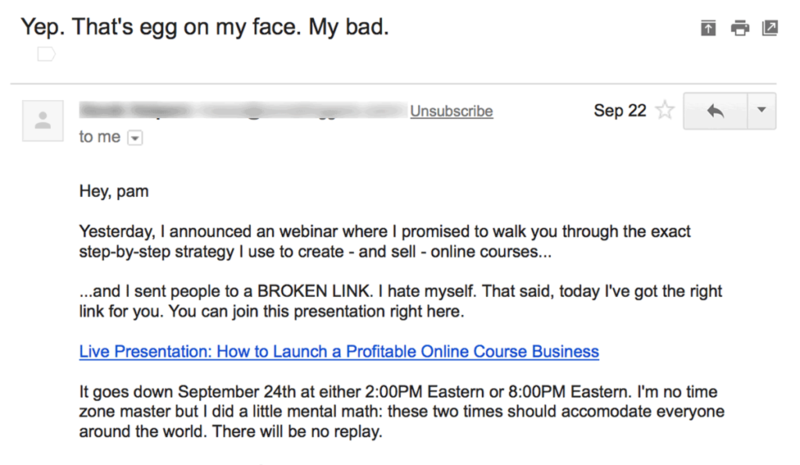 For a few months, pretty much every day someone was sending a follow-up email apologizing for a broken link. We’re not that naïve, guys. 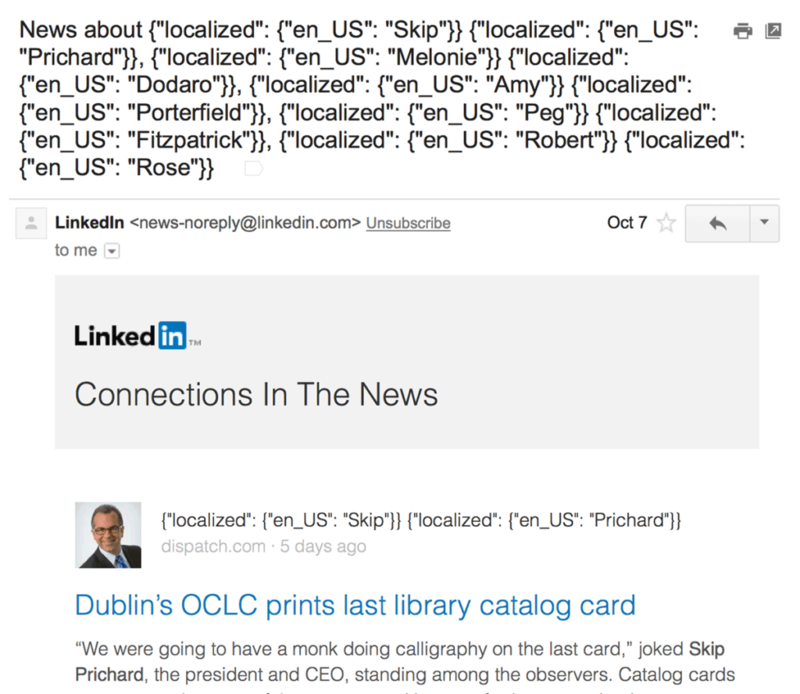 Maybe the first dozen times I saw an “oh no – the link broke” email, I believed it. But that was a long time ago. Similar plays on this include the “we got the wrong date, oh no!” and the now classic “Our server crashed there was so much interest in this product. But we’re up and running again – place your order before that poor server dies again!” Incredibly, even today I got an email about a busted server on launch day… I guess the ruse still works. 10. Not sending emails at all. This is the worst. 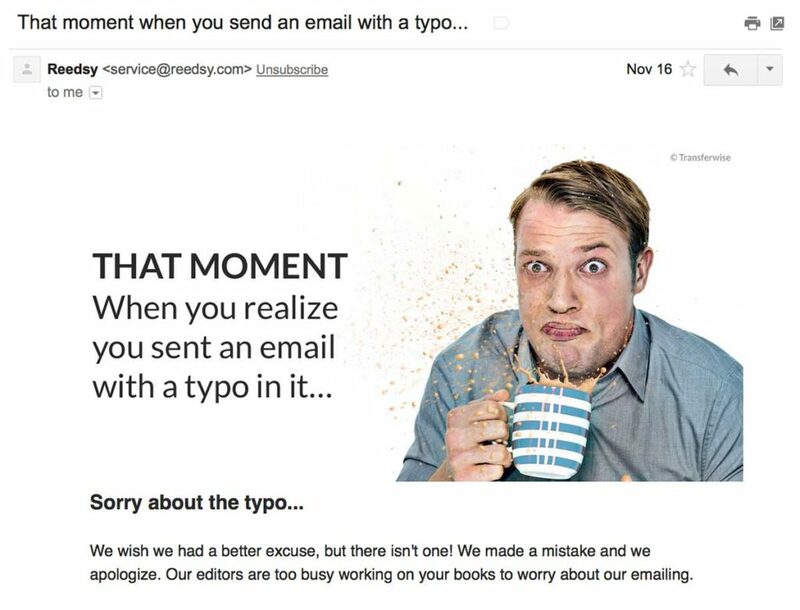 Despite the risks of making a mistake, it’s far better to pull a few gaffes than to send no emails at all. 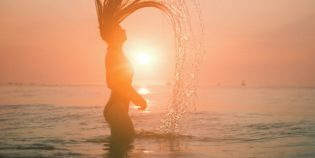 I’ve been a bit hard on some of the companies mentioned here, but I deliberately picked emails from companies known for their marketing savvy. Even the best of us mess up sometimes. 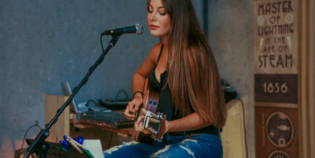 The secret to success is to keep plugging along, despite the mistakes. 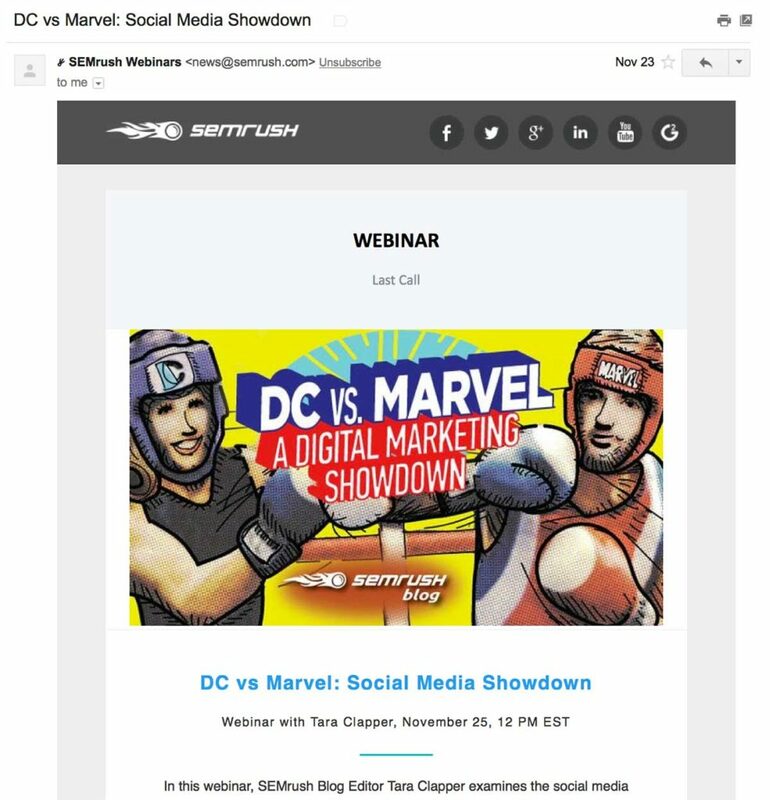 What’s the worst email marketing mistake you’ve seen this year? Maybe it was your own “Oops”, or somebody else’s. Either way, it’d be great to hear from you in the comments.